If you’re debating an early retirement from teaching, read this first. A factor of many teachers’ pensions is their “service credit,” or how many years they have been teaching. For some states, this number of years is used to determine the amount of the pension. For most, it determines if you are eligible to receive a pension at all. Before leaving your position, you should understand how many service credits you have and what this entitles you to. Talk with your district to see if there are retirement incentives available and if you are eligible with your current tenure. And talk to your state pension to determine your retirement benefit(s). 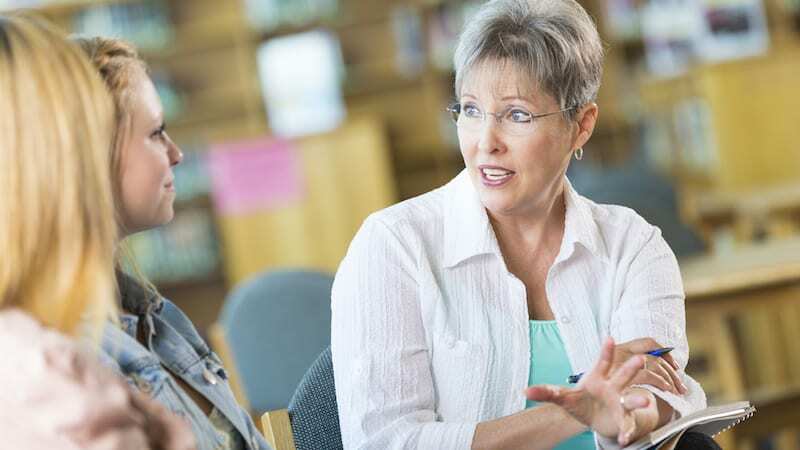 Many times, teachers find if they work one or two years more, their retirement benefits can be significantly higher and holding out on leaving can be financially beneficial. It’s crucial to understand how much you need to live. If you’re relying on your pension for retirement income and it leaves you $500 in the hole each month, then retirement will not be comfortable. Map out your current spending situation. Then determine what will change should you stop working at your district or transition jobs. Then determine your pension benefit and if you have any other investments to pull from. See if it is feasible for you to stop working right now. Once this situation is on paper, even if the answer is not what you expect, knowing—versus not knowing—feels a whole lot better. Why are you looking to retire early? Is it to leave a bad job, and/or do you have something wonderful lined up? It should be your goal to have something lined up so that you are leaving your position for something, and not jumping into the unknown. That “something” could be another job, a volunteer role, a planned move to another state, or deliberately spending more time with family. The worst move I see people make is leaving their career with nothing planned out. They either boomerang back into work again or wander aimlessly without a plan. Are you aware of the rules in your contract and the retirement process of the district? Do you need to give different notice if you are retiring versus leaving for another job? If you intend to move to a retirement contract for the final years of work, what is the deadline and who needs to be notified? If you retire early, are you leaving any gaps in health care coverage that could be mitigated if you stayed for a little longer? How long is the period from when you retire to starting your pension? Do you have the funds should that gap be a long period of time? If you have a 403(b), will you be leaving it where it is or moving it to another account? Do you need to leave it in place for a period of time to receive any retirement incentives from your pension plan/districts? Retirement is a process that can last a number of months until everything has fallen into place. Make sure to do enough preparation ahead of time so that you’re aware of the steps that need to be taken. Don’t penalize yourself by making ill-informed choices. I am a financial planner and have been providing fee-only financial advice to clients since 2007. In 2013, I launched Finance for Teachers, Inc. with the purpose of serving K-12 educators in Illinois, as being married to a teacher made me very familiar with the finances of a teacher. Finance for Teachers is now a leading resource for assisting teachers with their personal finances, with its website being visited by over 70,000 educators each year.